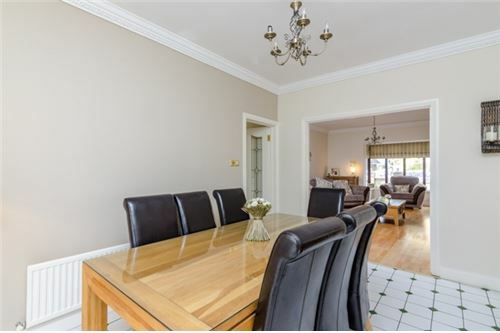 New to the market with Tony Donnelly of RE/MAX Partners a magnificent 5-bedroom c. 2350 sq. 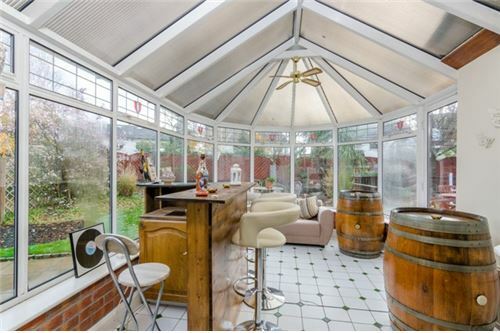 ft. detached property with full attic conversion and the added benefit of a one-bedroom self-contained apartment to the side. • The main house is c.1,950 sq. ft. (181.2 sq. mtr.) and the apartment is c.400 sq. ft. (37.16 sq. mtr.). 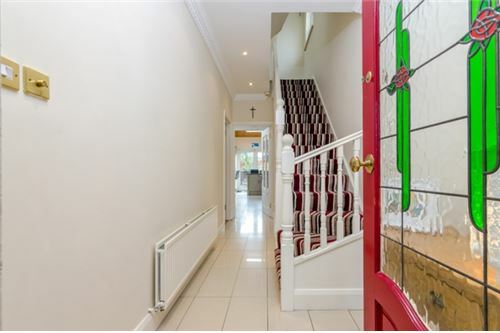 •Upstairs there are four bedrooms, master with ensuite, family bathroom and fully converted attic, currently used as a games room. 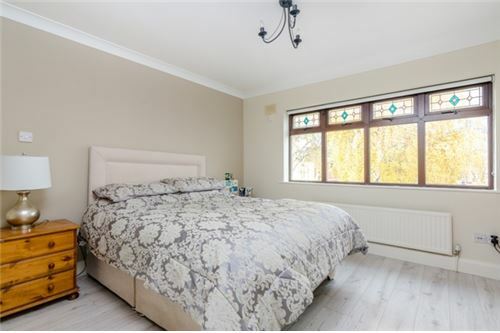 • The self-contained own door apartment is located to the side of the property and consists of kitchen/dining area, separate living room one bedroom with en-suite. 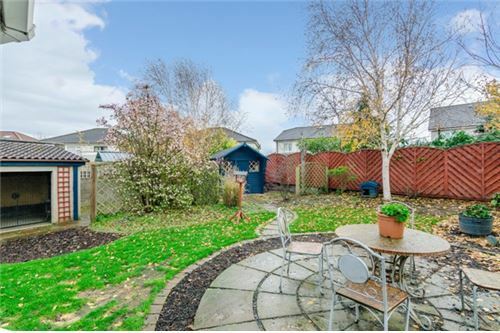 • Outside there are large gardens decking and patio areas, ample off road parking to the front for 3 family cars and a steel storage unit to the rear. • The property is finished to an exquisite standard with very contemporary decor and high end fixtures, fittings and sanitary ware. 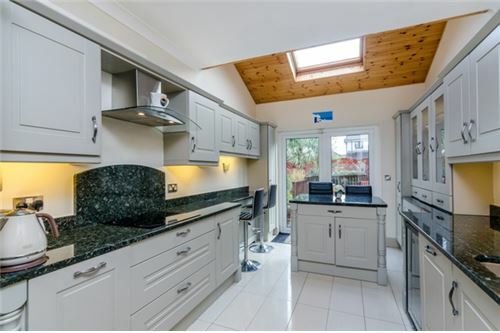 The property is located in the mature development of Weston park, one of only 5 detached properties and only a short drive to the M4 motorway. 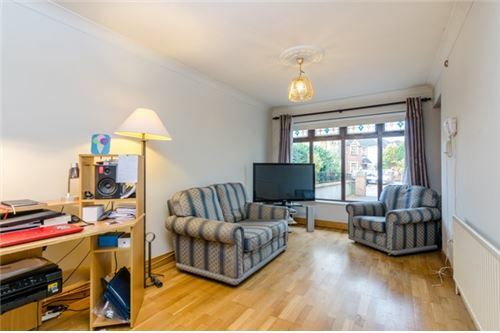 Call to arrange a viewing - evening’s & Saturday’s accommodated! SQUARE FOOTAGE: c. 2350 sq.ft. 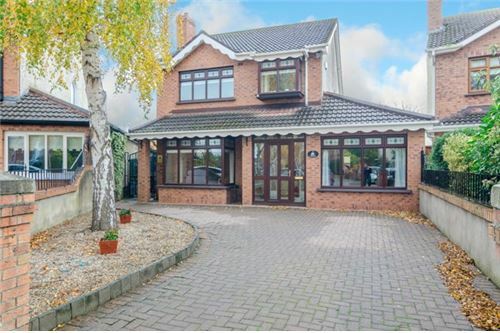 New to the market with Tony Donnelly of RE/MAX Partners a magnificent 5-bedroom c. 2350 sq. 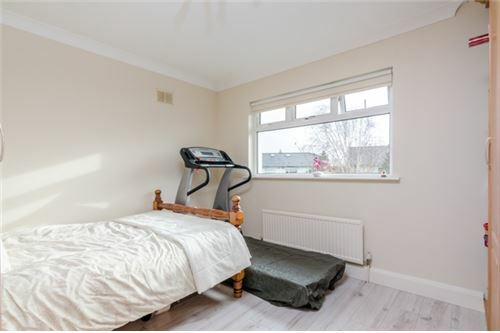 ft. detached property with full attic conversion and the added benefit of a one-bedroom self-contained apartment to the side. • The main house is c.1,950 sq. ft. (181.2 sq. mtr.) and the apartment is c.400 sq. ft. (37.16 sq. mtr.). • The property is surrounded by a magnificent landscaped extra large south facing rear garden • The main house consists of an entrance hall, kitchen with granite worktops, separate dining room, sitting room, conservatory with a corner bar unit •Upstairs there are four bedrooms, master with ensuite, family bathroom and fully converted attic, currently used as a games room. 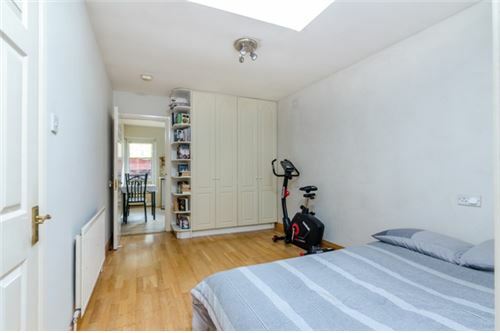 • The self-contained own door apartment is located to the side of the property and consists of kitchen/dining area, separate living room one bedroom with en-suite. 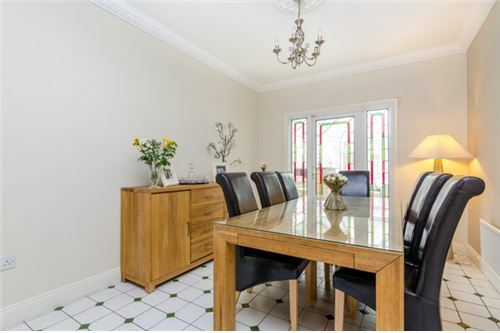 • Outside there are large gardens decking and patio areas, ample off road parking to the front for 3 family cars and a steel storage unit to the rear. • The property is finished to an exquisite standard with very contemporary decor and high end fixtures, fittings and sanitary ware. 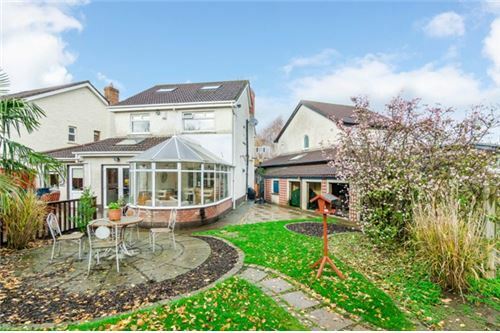 The property is located in the mature development of Weston park, one of only 5 detached properties and only a short drive to the M4 motorway. 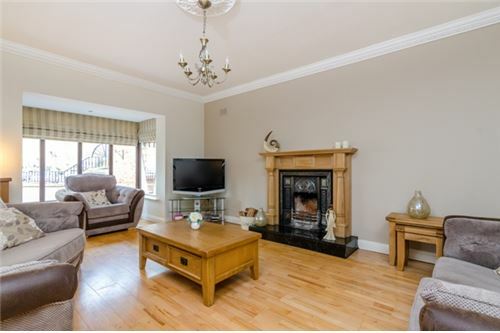 Call to arrange a viewing - evening’s & Saturday’s accommodated! INTERNAL FEATURES: All curtains included in sale All blinds included in sale All light fittings included in sale Both properties fully alarmed All kitchen appliances included in sale EXTERNAL FEATURES: PVC double glazed windows PVC facia and soffits Maintenance free exterior Outside tap Outside light Security lights Decking area Patio area Landscaped gardens Raised flower beds Side gates Located in quiet cul de sac Off road parking for 3 cars Cobble lock driveway Barna shed Block shed with electricity SQUARE FOOTAGE: c. 2350 sq.ft. 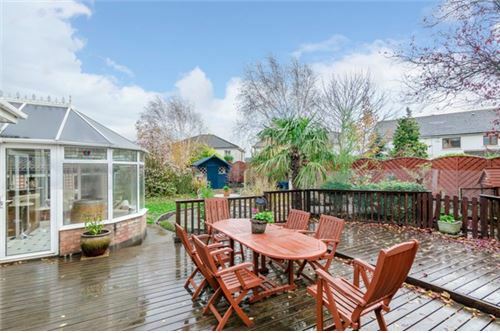 PROPERTY AGE: c. 1993 GARDEN ORIENTATION: Extra large South facing rear garden Services/Heating: Mains water, Mains sewerage, O.F.C.H. 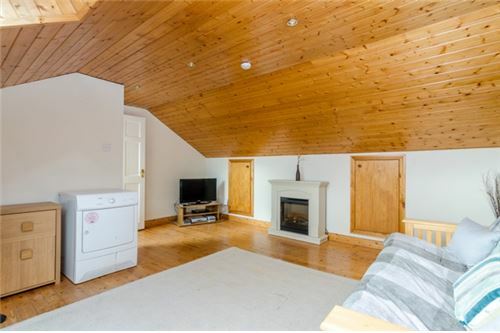 Open fire in sitting room. c. 17’6” x 5’9” Coving, light fitting, recessed lighting, downstairs storage, ceramic tiled floor, phone point. 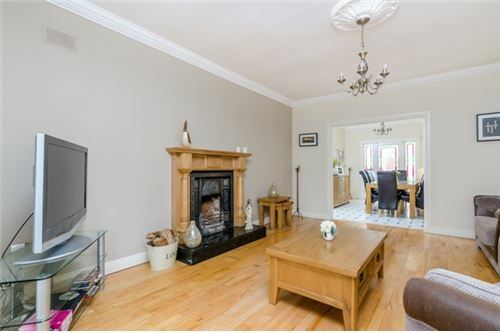 c. 17’6” x 14’0” Coving, centre rose, light fitting, solid ash feature fireplace with a wrought iron insert and polished hearth, curtains, blinds, solid oak wooden floor, TV point, phone point, SKY cable TV, archway leading to dining area and conservatory. 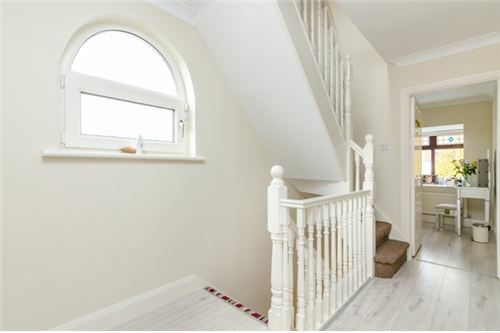 c. 13’9’’ x 10’0’’ Coving, centre rose, light fitting, tiled floor, sliding door leading to conservatory. c. 18’6” x 17’6” Light fitting, spot lights, high quality Noyek kitchen, granite splash back area, stainless steel sink, area plumbed, American integrated fridge freezer, integrated dishwasher, double oven, hob, extractor fan, wine cooler, crystal display cabinet, island unit, breakfast bar, French double doors leading to garden area/decking area/patio area, ceramic tiles, TV point, phone point, washing machine, microwave. 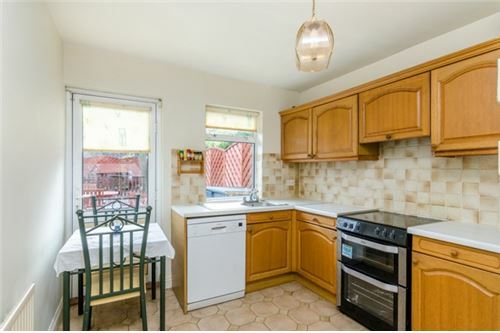 c. 15’0” x 13’3’’ Coving, light fitting, fitted wardrobes, blind, wooden floor, TV point, phone point. 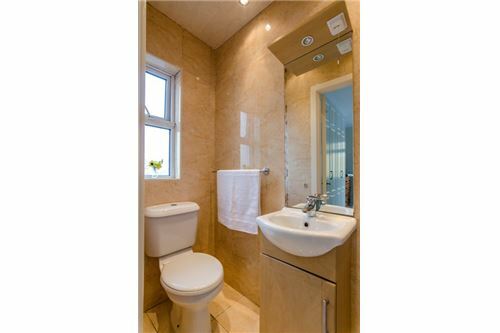 c. 8’0” x 3’0” Light fitting, recessed lighting, shaving light with socket, fully tiled, shower cubicle with Triton T90 shower, WC, WHB. 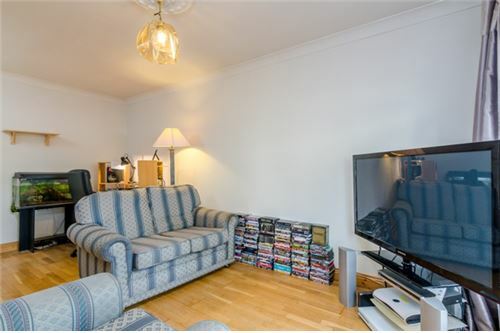 c. 12’3” x 10’6” Coving, light fitting, fitted wardrobes, blind, wooden floor, TV point, phone point. 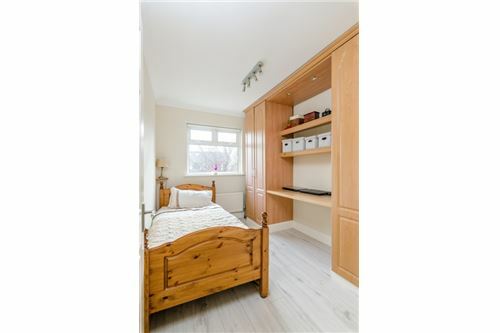 c. 10’3” x 7’3” Coving, light fitting, spot lights, wall lights, fitted wardrobes, vanity unit with mirror, blind, wooden floor. c. 11’0’’ x 8’9’’ Coving, recessed lights, fitted wardrobes, blind wooden floor. 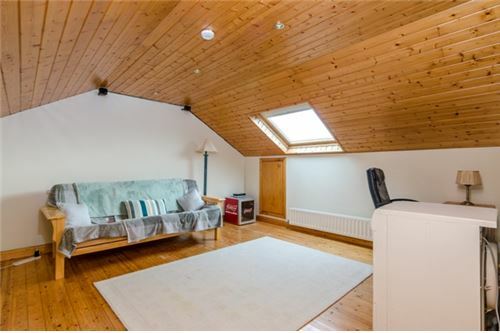 c. 18’0’’ x 14’6’’ Raised pine ceiling, recessed lights, wrap around storage area in the eves, 2x Velux windows, blackout blinds, wooden floor, TV point. 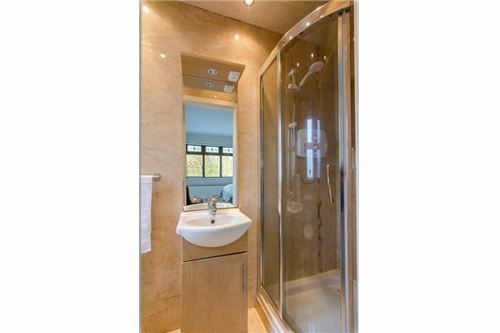 c. 10’0’’ x 5’6’’ Light fitting, recessed lighting, extractor fan, shaving light, wall tiling, heated towel rail, wooden floor, WC, WHB, pump power shower, bath, Jacuzzi. 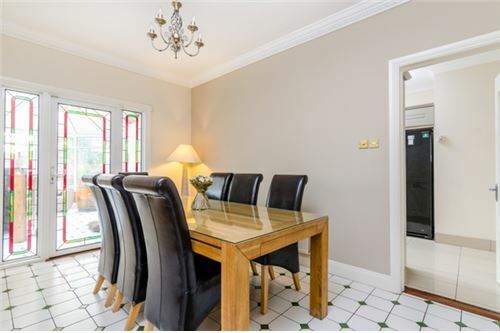 c. 15’0’’ x 9’6’’ Light fitting, wall lights, tiled floor, door leading to garden area, garden area, corner bar unit. c. 6’6’’ x 4’0’’ Light fitting, tiled floor, fully alarmed. 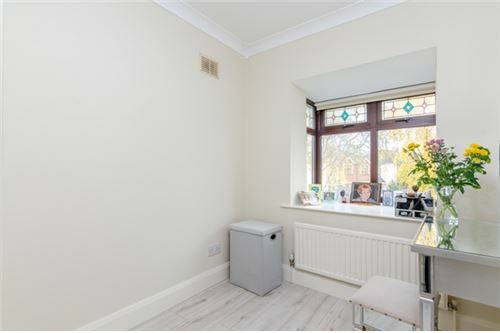 c. 17’6’’ x 9’3’’ Coving, centre rose, light fitting, curtains, wooden floor, TV point, phone point, SKY cable TV, door leading to kitchen and dining area. 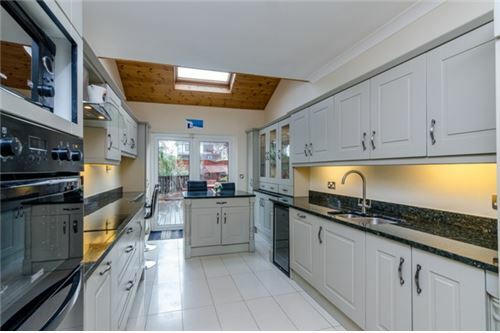 c. 11’0’’ x 9’3’’ Light fitting, spot lights, high quality solid oak kitchen, tiled splash back area, stainless steel sink, area plumbed, fridge freezer, blind, dishwasher, cooker, extractor fan, back door leading to garden area/ patio area/decking area, ceramic tiles, washing machine, microwave. 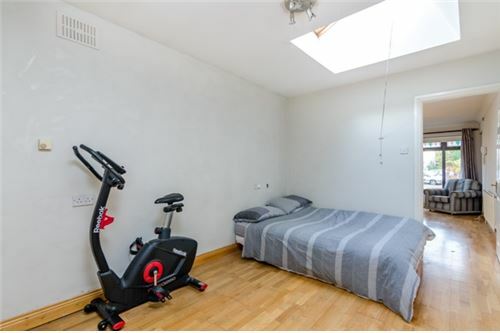 c. 14’6’’ x 9’3’’ Light fitting, fitted wardrobes, Velux window, wooden floor. 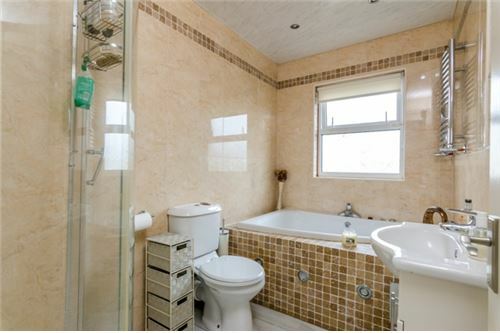 c. 8’6’’ x 2’6’’ Light fitting, extractor fan, recessed lighting, fully tiled, shower cubicle with Triton T80 shower, WC, WHB.